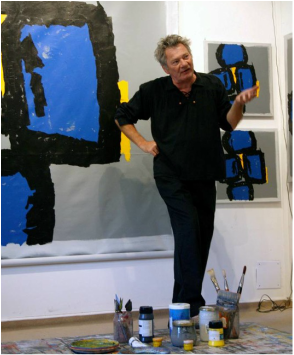 Born in Belfort, France, in 1948, Yves Hasselmann now lives and works in the Franche-Comté region. After studying philosophy, he began expressing himself through music and painting. He went on to draw from both media the energy, passion, emotion and freedom that were essential in his life. From compositions to recordings, from concerts to exhibitions, Yves Hasselmann followed a path that rapidly led him to abstraction painting and a real freedom of sound in music. His work as a colorist painter is characterized by numerous series of prints of his environment and of interior traces captured by his memory. The media in which Yves works have become more diversified over the years, and include canvas, paper and metal.